A BLOKE who got just 19 votes in a Federal election still managed to get his bum on a Senate seat. That he's been given a platform and a $200,000 salary, shows our voting system is broken. 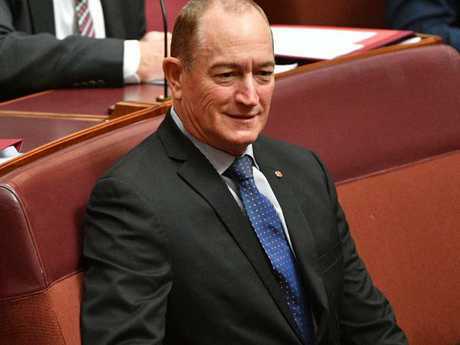 In his offensive and dangerous maiden speech, Senator Fraser Anning said "the final solution to the immigration problem of course is a popular vote". As if the call for ending Muslim immigration isn't sufficiently divisive of itself, the use of the term "final solution" is sickening. The "Final Solution" was the appalling euphemism used by Nazis in World War II, to refer to their plan for the genocide of the Jewish people, which would see millions killed. Not withstanding his insult to the Holocaust, his obsession with a "popular vote" is absurd. We're being lectured to by someone whose last experience with a popular vote was winning just 19 of them. Fewer than two dozen Aussies thought enough of the bloke to make him their number one pick. There's a decent chance Senator Anning may have voted for himself, so you could perhaps make it 18. A man from a cattle mustering family couldn't muster more than 19 members of his extended family to vote for him. Couldn't get more than 19 barflies from the local pubs he owns to put a one next to his name. This man isn't very good at popularity contests, yet he's sitting in Parliament anyway. How he got there shows a system in need of repair. As a Senator, Fraser Anning is paid $199,040 every year. He gets another 15.4 per cent in superannuation. He's entitled to tens of thousands of dollars more in travel, expenses and other perks. And yet, he was never really elected by the people. Today he's setting the national agenda - he gets all the power and all the goodies but never triumphed at the ballot box. The basic story is this. 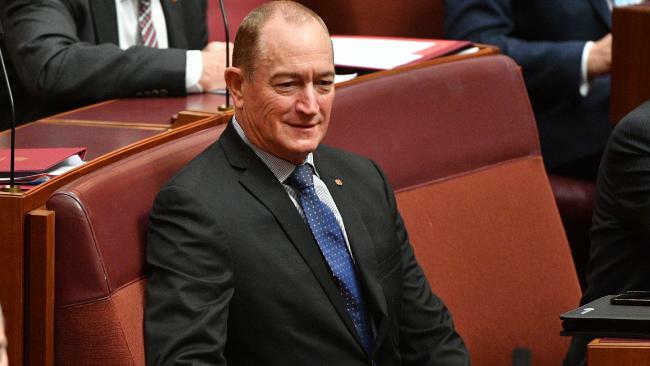 At the 2016 election, Fraser Anning was a One Nation candidate for the Senate in Queensland, and thanks largely to the pulling power of Pauline Hanson, that party's top two candidates made the cut there. Second cab off the One Nation rank, Malcolm Roberts, got 77 first-preference votes - still a small number but almost four times that of Fraser Anning. Roberts still got in thanks to above-the-line voting on Senate ballot papers, preference distributions and a system where all states get an equal number of senators, regardless of their population. The senate ballot paper is ridiculously long. It’s not a new phenomenon, with this image of Shane Warne studying the voting paper from 2004. No wonder people don’t want to fill out the boxes below the line. The convention is that if a Senator dies, resigns or otherwise leaves their post during their term, their state replaces them with another member of their own party. It's usually whoever was next on the ticket at the previous election. But that's not all. 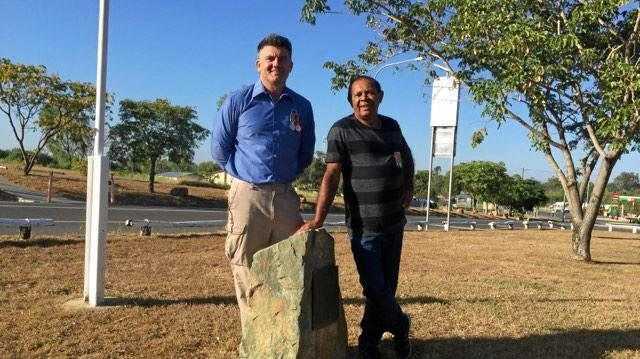 Once installed, he turned his back on One Nation anyway, (and on all of those 19 voters), took a pit-stop as an independent, and then joined Katter's Australian Party. So - a man who got just a handful of votes and was never elected by the people, was given a free pass into Parliament after another guy turned out to be a foreigner. It's also a reminder to all of us of thinking carefully about numbering Senate ballot papers, no matter how enormous they have become. But a majority never voted him in, and the attention he's getting shows he hasn't been silenced.